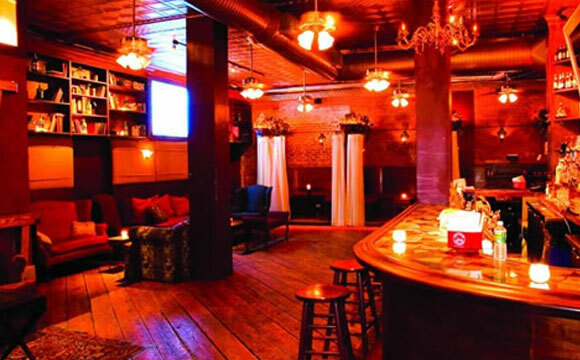 Located in the popular Manhattan nightlife area known as the Meatpacking District, the Gaslight Lounge is a classy but low-key bar that is always a fun time. The lounge always draws a good crowd of young, chilled-out patrons who are just there to have a good time. The Gaslight Lounge is always a good choice if you're not a big fan of crazy nightclubs where you can't hear yourself think or pretentious restaurants where you're afraid to touch anything for fear that the seventeenth century antique glassware might shatter into a million pieces on contact. The Gaslight Lounge is a place where you can hang out with your friends, sip on your favorite drinks, and meet new people without feeling like you need to have a million dollars in your bank account to be someone worth talking to. 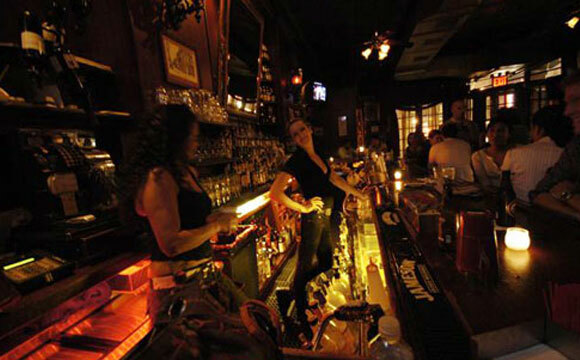 These attributes are what make the Gaslight Lounge a favorite for visitors in the Big Apple. There is no dress code at the Gaslight Lounge so now is your chance to throw on those 1970s Converse All-Star sneakers you have been dying to show off. There is usually a line in front of the club, but when you book a reservation with New York Nightlife VIP, you can forego the wait outside. When you enter the bar, there are two rooms with different DJs playing different tunes. The room to the left is usually hip-hop and the one to the right is a mix between Top 40 hits, old-school hip-hop, rock, and even some Spanish tunes in the mix. There is plenty of room to move around and dance, which makes it a good place for those who like to get jiggy wit' it while they drink. You will be pleasantly surprised by the reasonable drink prices here. In Manhattan, when you can order a drink for less than a ten-spot, consider that an accomplishment. The drinks are strong and the bartenders know what they're doing. The Gaslight Lounge is an awesome place for those who like a good old-fashioned bar night and you get it right in the heart of the city. The Gaslight Lounge also offers bottle services and private booths for those who make reservations through New York Nightlife VIP. Contact us for a private booth at the Gaslight Lounge and you can enjoy your own private area with a curtain in case you need some alone time. Having a private table is nice because it gives you the freedom to sit down and hang out after you have been shuffling around the bar ordering drinks and mingling with others. New York Nightlife VIP will also get you awesome discounts on bottles when you reserve a private table so you really can't go wrong! A trendy bar is set up at one end of the venue where you will see some gorgeous bartenders. There are usually an appropriate number of bartenders to ensure that drinks are being provided quickly enough to keep the bar from overcrowding and to keep patrons' waiting periods at a minimum. At your table, you can order pizza that is made right there on the premises. The Gaslight Lounge's pizza is surprisingly high quality and since you probably would have stumbled into a random pizzeria anyway to satisfy your late night food fix, this gives the Gaslight Lounge an edge over other bars. The pizza is another good reason to reserve a table so you can sit and eat comfortably. Contact New York Nightlife VIP today and reserve your table at the Gaslight Lounge! New York Nightlife VIP guests receive special discounts on bottles and other perks like skipping the line and getting first-pick of your table inside! Call or click today!